The 2018 Burton Concord snowboard boots are the straight up all mountain medium flexing boot for all levels of riders who want to shred all over the mountain. 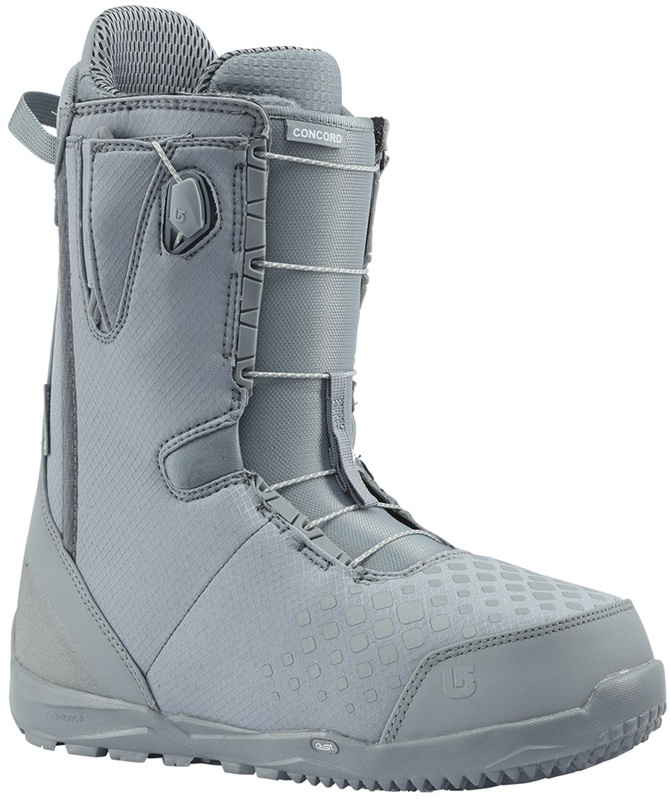 The Concord is a super comfy but responsive boot that will keep you having fun on the mountain all day long. The Concord includes Burton's Shrinkage technology which is a reduced footprint of one full size, so a size 11 will have the same footprint as other brands size 10 boots. This opens you up to more board options and helps reduce heel and toe drag when carving. It also has 1:1 lasting so each size shell is made for each size unlike some brands who just put a thicker liner in a whole size to make their half sizes. This means you get a better fit that doesn't change over time. The Ruler Wide uses Burton's awesome Speed Zone Lacing which is a quick lace system with upper and lower fastening zones for a quick yet custom fit. This system has been improved with a re-profiling of the lace guides and jam cleats and the addition of New England Rope laces which are virtually indestructible and are unique to Burton. They are so confident about these laces that they come with a lifetime warranty! 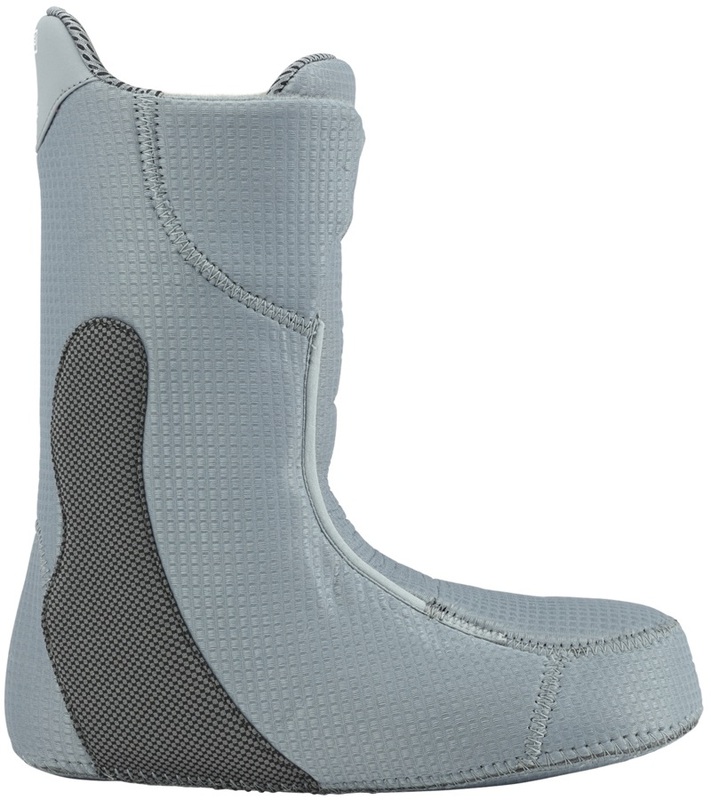 Comfort and performance is guaranteed with the Concord via the Level 2 EVA moulded foot bed and ESS support shank. This provides added cushioning under foot, helps reduce fatigue and provides greater levels of arch support. The Concord includes an Imprint 3 liner with focus cuff for premium heel hold, response and comfort. A DynoBITE EST outsole features snowboarding specific cushioning and is extremely lightweight. A ReBounce system creates efficient heat reflection maintaining a warm environment and an extra layer of traction at the heel and toe provides superb grip. 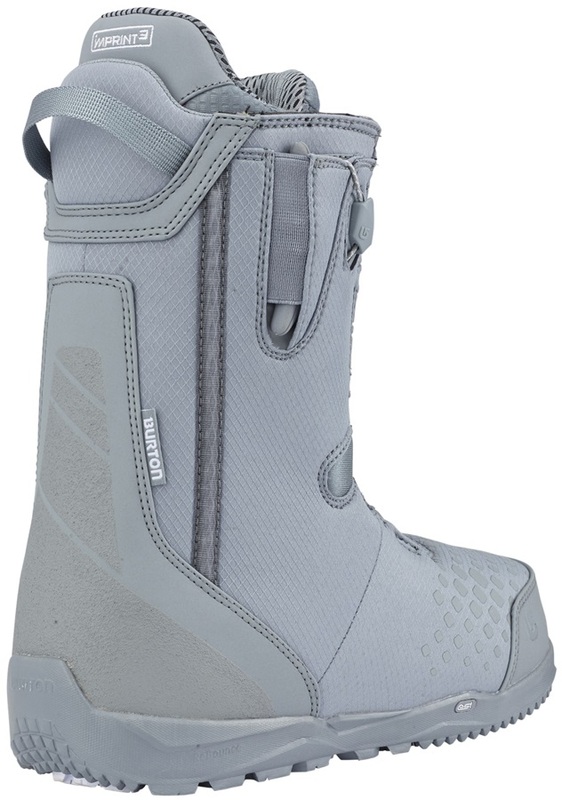 If you're looking for a snowboard boot that is brilliant for all types of terrain then the Burton Concord is one of the best!